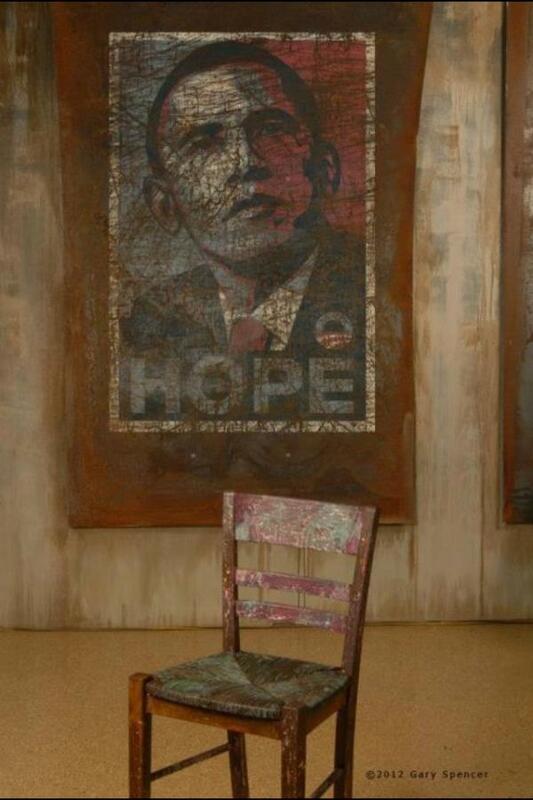 Now take a look at the current icon of the Empty Chair. 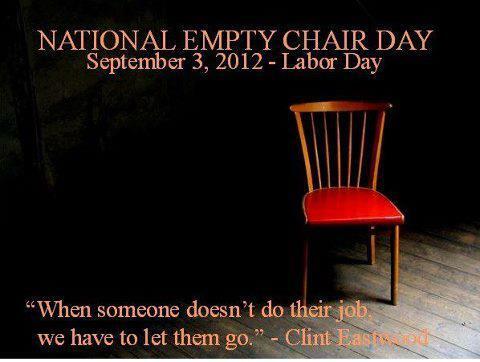 Update: Some of the icons of National Empty Chair Day. Just a reminder that the left’s lies about the Tea Party being “racist” are just that, lies. The members of the Tea Party are a cross section of America, which is hardly surprising, since it is an authentic grass roots organization. Ryan Bomberger explains why we must get BHO out! 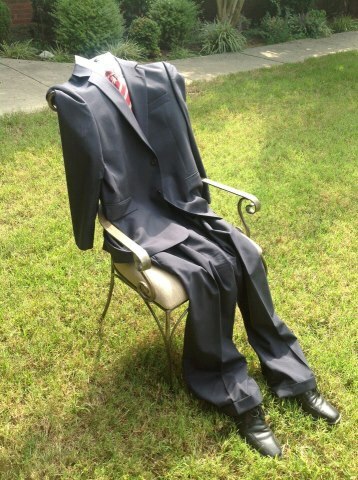 MSNBC’s Andrea Mitchell is desperately trying to get the Obama campaign talking points out there, but that “Evil Republican” John Sununu keeps insisting on using actual facts! Bill Whittle takes a look at American History. Obama’s Chief of Staff tries to weasel, but Chris Wallace commits actual journalism and provides actual facts, to which our Dear Leader‘s CoS continually denies and repeats the same lies. The Obama regime SG argued to the Supreme Court that Obamacare is a tax, the Supreme Court ruled that the only way it passed Constitutional muster was under the government’s ability to tax. They were very clear that it was not Constitutional under the Commerce Clause or under the “promote the general welfare” clause. The Obamacare act does not fund a single additional doctor, but it does fund 16,000 new IRS agents in order to collect revenue that will be generated by the Obamacare (more accurately “Obamatax” act). That alone should tell you what the basic nature of the act is, it’s a tax!